Pike County (pop. 57,369) is south of Wayne County, across the Delaware River from New York and New Jersey. 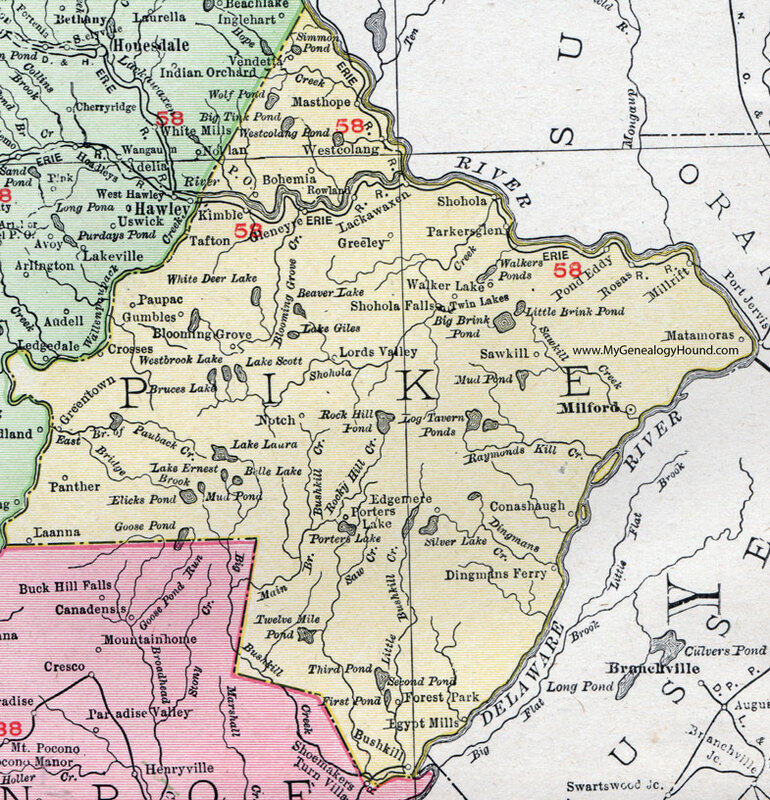 It’s one of 10 Pike counties, all of them named for Zebulon Pike (1779-1813), brigadier general and explorer. Pikes Peak, Iowa, was also named for him. Pike County has been Pennsylvania’s fastest-growing county in recent years, thanks to its relative proximity to New York City. It’s in the NYC metro area. The county seat of Pike County is the borough of Milford (pop. 1,021), fourth-smallest county seat in Pennsylvania. The Columns Museum in Milford features the bloody flag on which Abraham Lincoln laid his head after he was shot at Ford’s Theatre in Washington, D.C. The Hotel Fauchere in Milford dates from 1880. 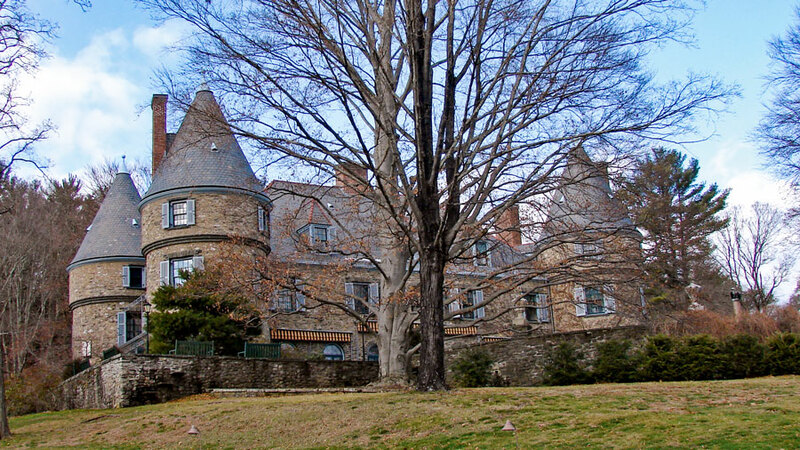 Grey Towers National Historic Site was the family home of Gifford Pinchot (1865-1946), first director of the U.S. Forest Service and two-time governor of Pennsylvania. 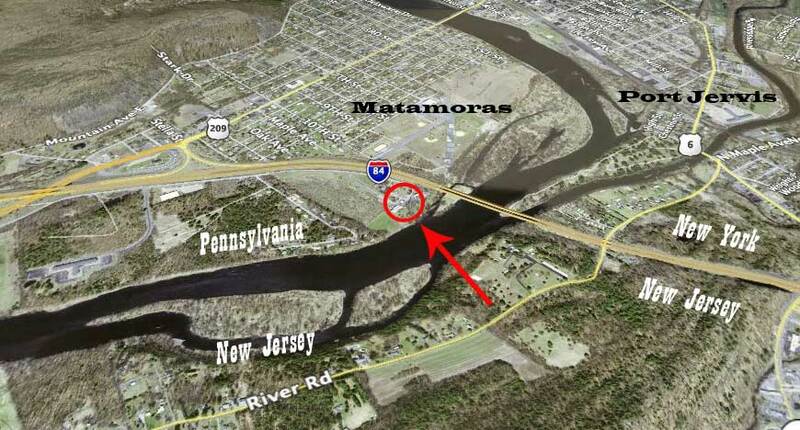 A few miles east of Milford is the borough of Matamoras (pop. 2,469), the easternmost municipality in Pennsylvania, located at the point where Pennsylvania, New York, and New Jersey meet. 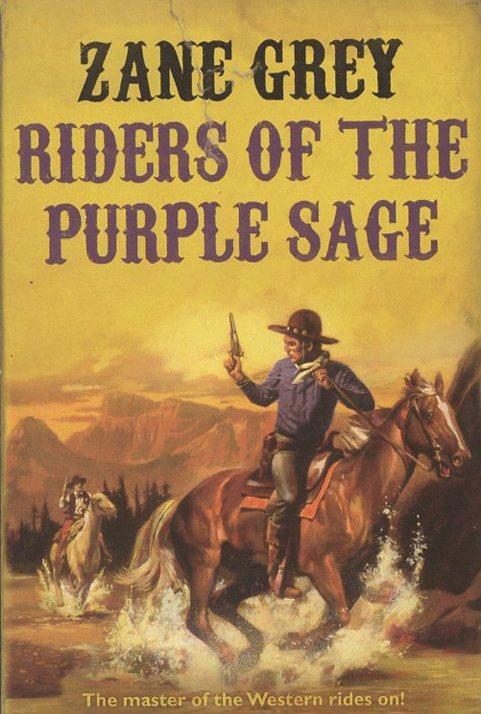 Northwest of Milford is the Zane Grey Museum, former residence of the Western writer Zane Grey (1872-1939). The museum is operated by the National Park Service. The Delaware Water Gap National Recreation Area is in Pennsylvania and New Jersey, where the Delaware River cuts through a ridge of the Appalachian Mountains. 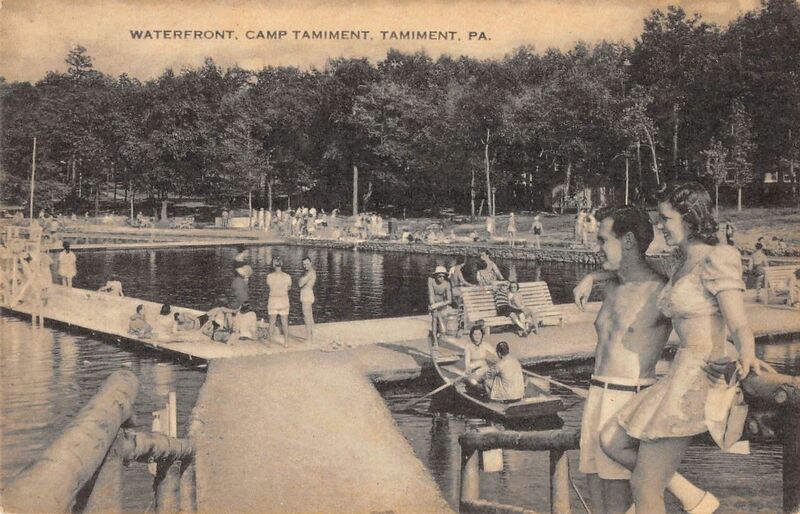 Camp Tamiment (1921-2005), a resort in the Pocono Mountains, was founded by Socialists. Later, its Tamiment Playhouse nurtured the early careers of Danny Kaye, Jerome Robbins, Carol Burnett, Neil Simon, and Woody Allen.